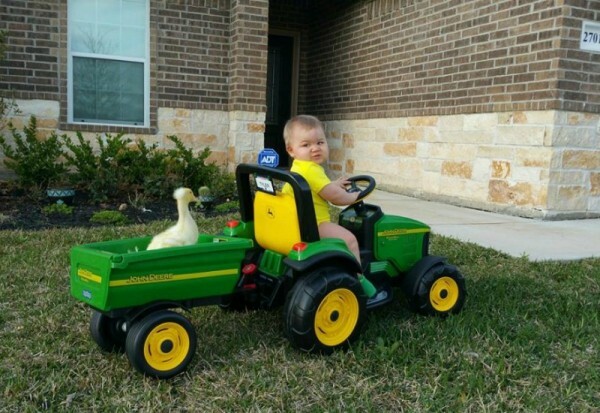 Mary may have had a little lamb but Tyler Young has an even quirkier (and quackier) best friend by his side. And we’ve got the sweetest photos of the plucky pair to prove it! 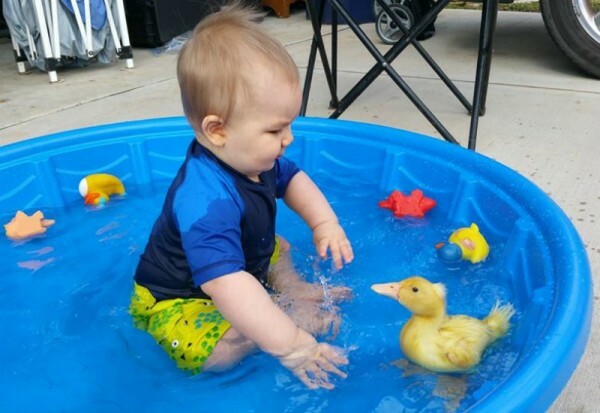 When Tyler Young was nine months old, his parents brought him home a sibling named Beaker. Beaker, or Bee, for short, is not your standard little brother. 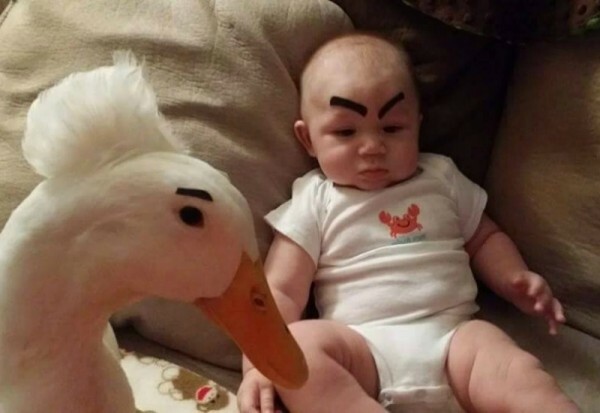 For one, he is a duck. And for two, the pair actually get along. 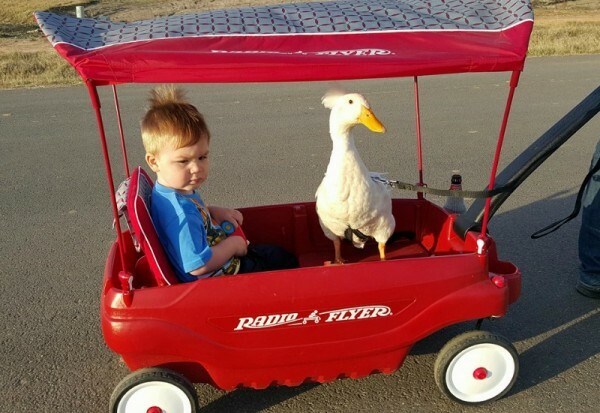 The bond between Tyler and Bee is quite incredible and has been tracked by Tyler’s parents, who own 11 ducks in total. Bee, however, is the clear favourite for Tyler and the pair have been inseparable since the day they bought Bee home. 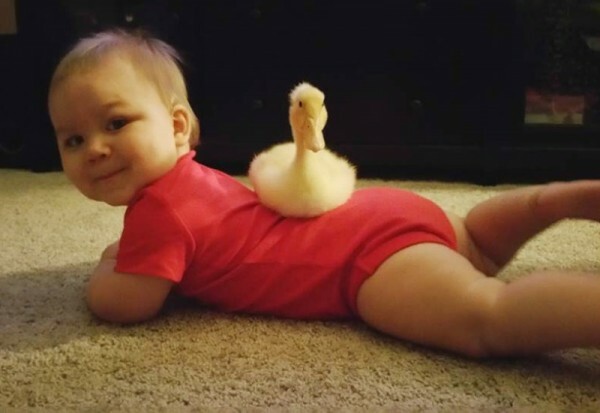 The family, who live in Texas, have started a Facebook page, Mr T and his Ducks to track the unique journey of these two clucky characters. The two are documented getting into some pretty crazy escapades together. They share food, they share baths and they share Tyler’s assortment of ride-on toys. 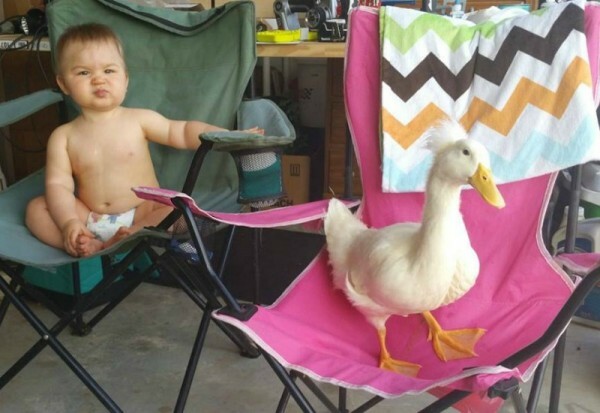 It’s no wonder that the toddler’s first word was “duck”. 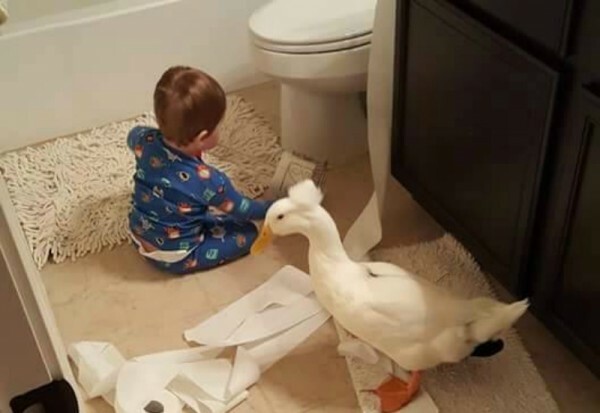 The bond between child and pet is always special, even if the animal isn’t your traditional domestic pet. Check out the love affair between this adorable little girl and her pet pig, the purfect bond between a boy and his cats as well as the toddler and labradoodle who dress the same.